Colby is honored to be teaching the 2018 LWISSD World Summit representing Los Angeles, CA. 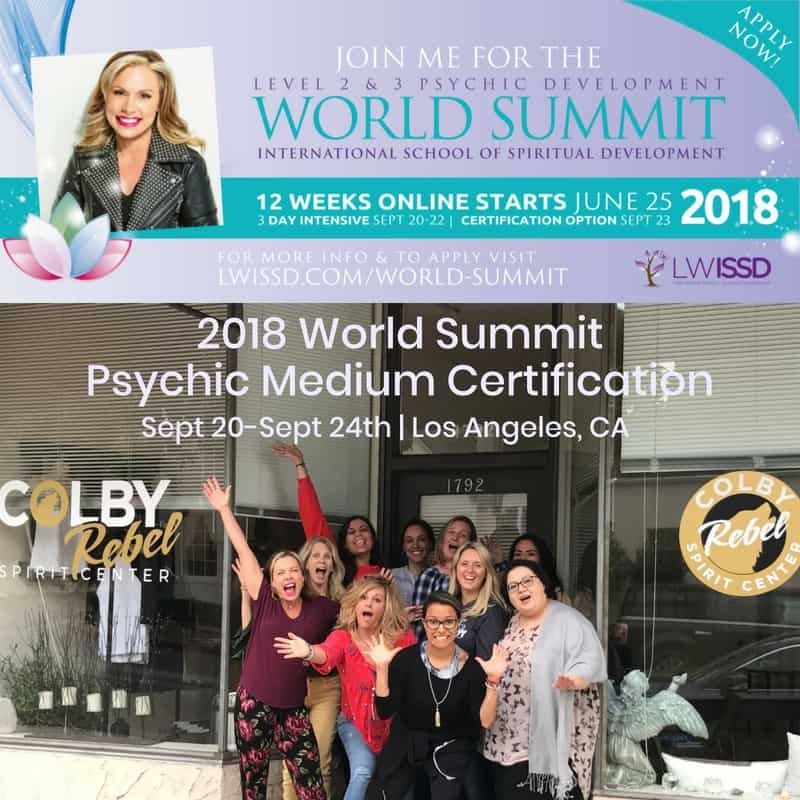 This is the 3-day intensive & certification testing in which students from around the world have studied 12 weeks under LWISSD-Advanced Psychic Medium Program. Registration is now closed.